Abstract – According to Bain, the global IoT vending market is likely to cross the threshold of 470 billion dollars by 2020 regarding revenue. The revolution of IoT has increased the growth of businesses exponentially. The survey suggests that more than one in five enterprises deemed globally rely on IoT. The use of connected devices has been increasing in all sectors such as energy, manufacturing, transportation, retail, and others. Therefore, organizations are looking forward to investing in IoT. The big question arises now is how to select a vendor who provides excellent IoT services? Two-way data flow from the database in the cloud to the user. The solution must be able to handle large scale of data under the transaction. The updated application program interface must be able to adaptable to its past API. The devices must be accessible to the development end of the system. The solution provided must have adequate security measures to protect the data and keep it available. The challenges of handling data produced increases as the number of devices connected increases. Therefore, scalability of a platform is a primary factor while selecting a vendor. The increase in some devices risks, costs, and problems associated with the handling of data increases. Select a vendor that provides a platform with adequate scalability and excellent performance of the device. An excellent platform can support multiple devices with different technical requirements and processing. An excellent platform also provides essential insights on collected data with extreme efficiency. The necessity of any platform is to be able to work correctly with the existing IT system. Selecting a hybrid cloud approach can prove much efficient under such circumstances rather than a single cloud approach. Under a hybrid cloud, there is a combination of the public and private cloud. It provides ease of accessibility like that of a private cloud and the scaling abilities of a public cloud. When an organization adopts a hybrid approach, the requests are not pushed through the public internet. Thus, reducing the latency factor and reduces time consumption. Enterprises can also leverage the abilities of public cloud when tasks exceed the load handling efficiency of private cloud. By using the hybrid cloud, an organization can retain its critical information on the private cloud, and less critical information can be stored in the public cloud. The IoT solution must be able to retain the privacy, and availability of the data generated. An easy way to achieve that is by adopting a TLS (transport level security) so that data remains encrypted. Under this process enables the devices with access controls and the credentials provided. The access to set permission standards and grant accessibility is with the business end of the infrastructure. Implementation of securities is essential on the user end as in case of backups lot of IoT frameworks malfunction. The framework design should be such that clients can test the key features of infrastructure. One of the most overlooked factors while evaluation of an IoT platform is the intelligence of the devices. The platform must provide cutting-edge capabilities to extend the access of cloud to connected devices. Facilitating intelligent edge capabilities enhances computing, applications of data, and accessibility to every bit of information available on the cloud. This allows devices to take a decision based on data generation. 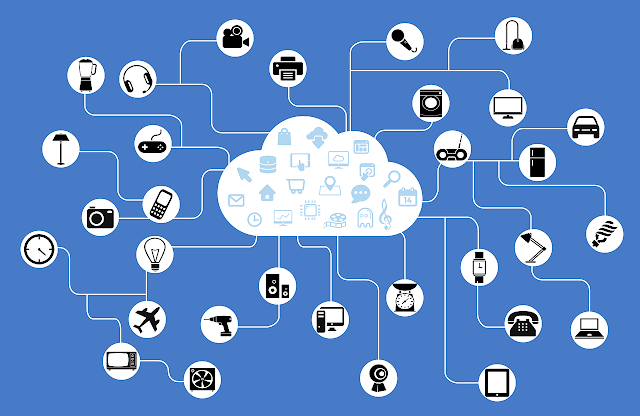 The intelligent devices can also leverage benefits of the cloud in managing connected devices. The IoT service provider must prepare for any damage to the infrastructure. The damage can be due to any natural calamity of cyber attacks. As the dependency of the security is on service provider a track of the sensitive data must be kept. Choose a service vendor if they have a proper and elaborate disaster recovery plan. Check if they can provide an assuring solution to any problem that can cause downtime to the working. While selecting an IoT service provider, consideration of above-stated factors is essential. IoT is a crucial requirement for development of businesses. If done without any proper planning, it can be a waste of time and loss of money. An excellent service provider advises best solutions for the development of IoT infrastructure. Thus, increasing the growth of enterprise in the long-run.